Tracy Cooks in Austin: Linen things I make and sell that are totally food related. Linen things I make and sell that are totally food related. I try really hard not to steer you wrong. I love sharing my ideas and recipes and just general stuff here. I like to have some of the toys that go along with the cooking that I do. I'm not a fan of single use or specific use items, I think we all need to be using our money on things that have many uses. That being said, I have a few items that I use in my house that I make to sell and I think they are appropriate items to list here. Anyway, these are the foodie items I'm selling in the store. I wanted you to have 'dibs' on them because Christmas is coming and I am planning of starting to make a lot more of these items. 1. 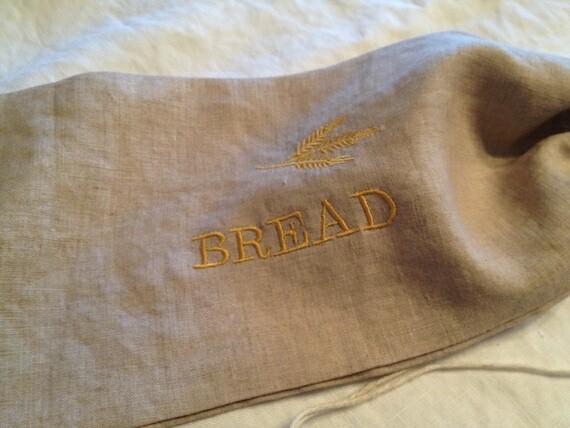 Linen baking cloth, also known as a clouche. I use these to store my fresh bread. 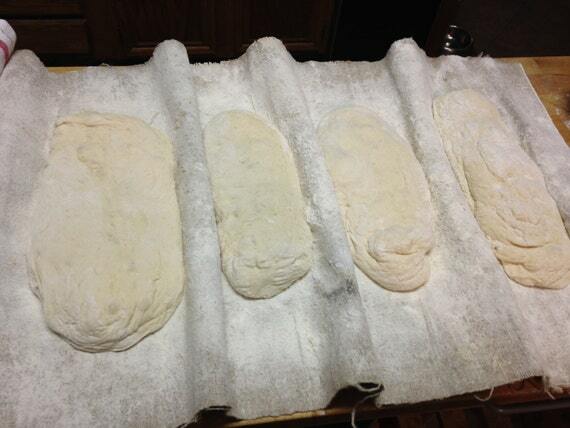 There's no mold on the bread and it is better than plastic. I don't think bread should be stored any longer than a day or two. In my house, after a day or so, it becomes bread crumbs or croutons that I store in the freezer. I also have these bags with the word POTATO across the front, yeah, I store my potatoes in them, they stop any mold or yukkiness from the plastic bag, and they're kept in the dark so they don't sprout so quickly. Brilliant I know, my mother's idea. OH and she has a pocked on her potato bag that says 'garlic'. Yeah, high, dry, dark and it all lasts so much longer. I'm OVER handing people a piece of paper towel when we eat. I don't like cotton napkins, they don't feel right and I'm all about linen. I, however, do NOT make the linen napkins from 100% linen, because you'd have to iron then and there's no one with enough time or energy to iron napkins for every day. I use a 80-20 linen cotton blend. No ironing and it behaves exactly like 100% linen. The feel is the same, the look and the use. Perfect. These are the perfect addition to the house. They wash up a dream and I have a pile of them that are in perpetual rotation. I have both the black and the natural, depending on my mood. Initially, I thought black was weird as a napkin but it's GREAT! Let me know what you think of the items, I'm interested. I don't know what the rates are to ship outside the USA but I'm looking into it. Have a great rest of your day, I'm making bread and pressure cooker jambalaya (which I'll post in a day or so) in preparation for my mom coming to stay for a bit. I love playing in the kitchen with her, I'll post what we make.